It’s mid April in Chicago and we woke to an inch of snow on the ground and it’s been snowing pretty much all day. Despite that, though, there is the feeling of spring happening: robins are patrolling the frozen backyard for potential worms, flowers are stubbornly poking up through the ground and it feels like it’s time to make new music. I have a pretty sizable and growing batch of songs that I’ve been working on since the last record, “Funeral Bonsai Wedding,” came out 4 years ago. (Four years ago?!?) So the question is how best to proceed and, honestly, that’s been the thing I’ve been stumbling over for the last year or so. It seems like it must be important to record and release these songs but I have had the darnedest time actually convincing myself of that. I’ve begun a bit of home recording of a few – in the manner that I made “I Will Miss The Trumpets and the Drums,” and “Sweet Is The Anchor” – there is a Dolly Varden session booked in May to track a few – and I intend to record Funeral Bonsai Wedding with the String Quartet at some point this year. The thought occurred that I could combine all of these things into one giant project and release it as a collection, possibly an old-school double LP. Maybe that’s ridiculous. But, that’s where I’m leaning currently. I did back off from playing shows (for the most part) in the first quarter of the year and it was helpful. I was playing too much and spreading myself thin and losing touch with my own spiritual intent of music making. I sang my songs in front of an audience last night for the first time in a while and it felt very good with a renewed sense of focus and purpose. So it would seem that the time away made a difference. Sunday, May 13th, I’m part of a great ensemble (with Phil Angotti, Tommi Zender and Tom Ryan) that will celebrate the music of one my musical heroes, George Harrison, at SPACE in Evanston. Details on that here. The spring session of classes at the Old Town School of Folk Music begins the week of April 30th. Classes run weekly for 8 weeks. I’m looking forward to teaching Songwriting Fundamentals again. It’s been a while. This is the introductory class for anyone who’s ever dreamed of writing a song, this is the place to start. I am happy to say that I have introduced quite a few souls over the years to this “beautiful obsession,” as Van Morrison called it. Songwriting fundamentals will run on Tuesday nights at 6:30pm. Class size is limited, so sign up soon if you’re thinking about it! This session also brings back the Classic Country Ensemble class I co-teach with Alton Smith. Honestly, it’s just a joy to hear Alton sing and play all these great old songs – that’s worth it right there! 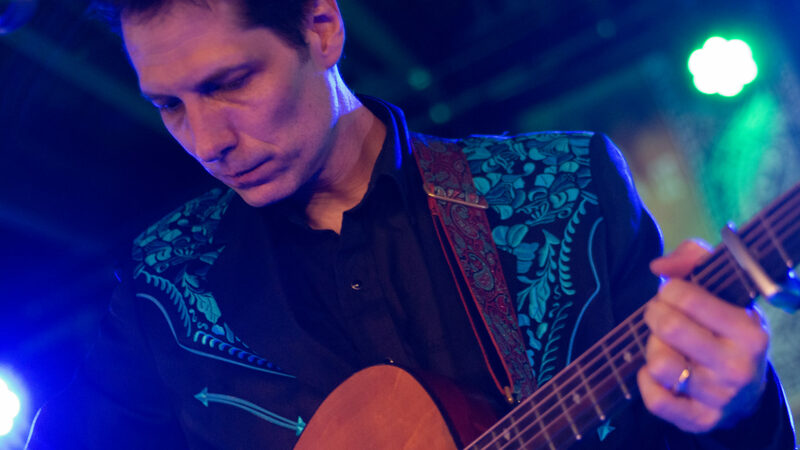 The class is for singers and instrumentalists who want to dig deeper into the country music of the classic era, which we loosely define as the 50’s through the 70’s, so there’s plenty of Buck Owens, Hank Williams, Loretta Lynn, Willie Nelson, Pasty Cline, etc. The Classic Country Ensemble runs Sundays at 3:30 beginning May 5th. I also have openings in my private lesson schedule on Wednesdays between 4 and 6pm. Send me an email if you would like to know more about my classes at the Old Town School of Folk Music: sdawson at oldtownschool.org. Here’s a list of my whole schedule. Thanks for reading and I hope the spring treats you well. Next PostNext Article This Thursday at the Hideout – Bob Dylan’s Birthday!